Consider the humble wobbler – that little piece of cardboard attached to a supermarket shelf by a band of plastic. There it is, wobbling away, trying to attract your attention to a special offer or a price cut. It’s so tiny, is it even worth researching? But think again. Think of all the wobblers, bobbing up and down supermarket aisles across the country, all the plastic and the cardboard that goes into making them and their bigger brethren. Think of the millions of pounds that are spent on making point-of-sale materials in the UK – in the world! - this year. Think of all the time and effort that goes into commissioning, designing, producing and installing these vital drivers of business. And then you start thinking – why aren’t we researching these things more? Partly it’s down to time, and partly it’s down to cost. 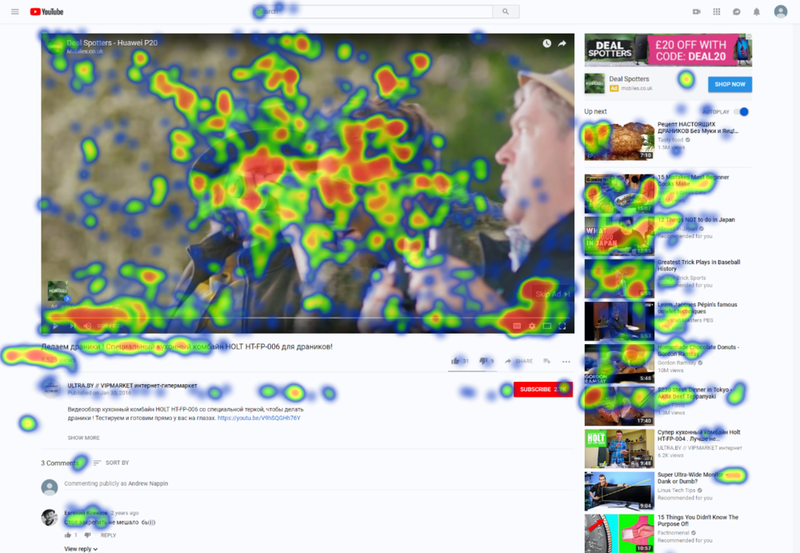 Eye tracking is a brilliant tool to assess and optimise the impact of point of sale materials, but it has, up to now, taken a lot of time and money. But at Lumen, we believe that we have a revolutionary solution to pre-test POS at scale in days not weeks, and at a fraction of the cost of traditional techniques. Eye tracking shows you what people actually see, not just what they could see. As such, it is a brilliant tool for understanding the reality of attention within busy environments like supermarkets. Yeah, sure, people could see the wobbler, or the shelf barker, or the hanging board. The real question is did people look at it, and did it affect their behaviour? We’ve done many studies to investigate what actually catches the eye in store - and affects the wallet – and helped retailers save millions of pounds optimising their inventory. However, these projects tend to be pretty resource intensive. To understand the difference between the impact of wobbler A and wobbler B, clients have to design and print up both wobblers, and then install the wobblers in store on different days, and then send people in store wearing eye tracking glasses to see the difference in attention between the two wobblers. It’s enough to give anyone the wibbles. So, we have developed a new and revolutionary way of working that combines Hollywood-style special effects with our proprietary webcam eye tracking technology. It allows you to test far more options, amongst far more shoppers, far more quickly, for much less money. · Step 1: We make a film of a typical shopping trip from the point of view of a typical shopper. · Step 2: We identify key POS locations that we’re interested in, and use Hollywood-style special effects developed by our friends at Mirriad to swap Wobbler Design A for Wobbler Design B (or any other feature, to be honest) within the film. If the type of POS that you’re interested in isn’t in the original film, don’t worry. We can add in totally new POS into the film, no hassle. · Step 3: We recruit respondents online, so they can watch films and do the eye tracking on the films on their home computers. We can then give people a post-test questionnaire to assess recall and purchase intent. Pretty cool, huh? But who noticed that we had also added in a load of shelf barkers to the second film? Watch the video again, or look closely at the two images below to see the subtle differences and additions to the films. Changing the header board shows that the technology is astonishing. Adding in the barkers shows that the technology is useful. · More flexibility to test more POS options: if you have 10 designs to test, we can make ten films – rather than doing 10 different days of research. Want to see the effect of having lots or little POS? Boom: it’s done in a couple of hours, rather than a couple of months. Of course, it’s not quite the same as going into a store and getting people to look at the actual POS using eye tracking glasses. There will always be a role for that kind of research, if you have the time and budget. But if you want actionable insight about POS, quickly and cheaply, then this revolutionary combination of Hollywood-style special effects and webcam eye tracking is for you. Wobblers: it’s time for your close up. Another busy week for us as we were pitching some of our latest innovations to the P&G and Partners Corporate Day, organised in collaboration with the European Innovation Council. We picked up a prize for best pitch: another one to go into the trophy cabinet. We won for a new approach to pre-testing point of sale materials. Our winning idea combines our accurate webcam eye tracking with Hollywood-style special effects create a scalable and affordable pre testing tool for point of sale materials. To get over this problem, brands and retailers have in the past adopted two approaches. You could do live tests, printing up various design options and then sending in hundreds of people into store wearing eye tracking glasses to see if they notice or act on design more than another. It’s highly accurate, but pretty expensive and disruptive in store. Or you could build a 3D virtual store – a bit like a computer game - and insert various POS options into the environment. You can then get people to explore the environment and see if they notice the POS. This is also pretty expensive, and is, at the end of the day, still a computer game. Our solution is a bit different. We send in a team to make a short film of a shopping trip from the shopper’s point of view. We then edit and manipulate the film with the help of special effects company Mirriad, swapping header boards in and shelf barkers out at will. We then conduct eye tracking tests on these different films at scale and speed using our proprietary webcam eye tracking technology. It’s easier and more scalable than conducting a glasses-base study; more realistic than shopping within a computer game; and quicker and cheaper than both. Here are a couple of stills from the demo films we showed in Brussels. The first image from the ‘base’ film we made for Tesco. The second image comes from the manipulated test film, where we have added in some barkers, and changed the header board. And, okay, we pandered to our European audience! Get in touch if you would like to learn more about this revolutionary approach to testing and optimising POS. 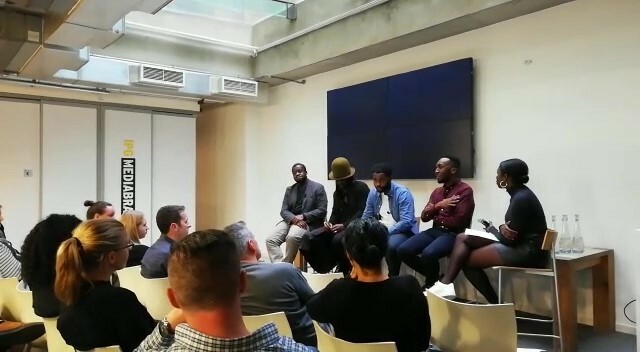 We were in Helsinki last month, at the guests of Finnpanel, talking to media planners and buyers about the reality of attention to online video. There was a very big screen. Size matters. As we have noted before, big posters get more attention than small posters. Big billboard banner ads get more attention than MPUs. Video ads on big desktop screens get more attention that video ads on little mobile screens. But size isn’t everything. What we find time and again is that attention to advertising is a function of attention to the surrounding content. The more you engage with the content, the more you engage with the advertising. This is why an ad placed next to some high quality journalism that you savour slowly will get more attention than when it is placed next to train times that you glance at quickly. And the best performing ads are placed as close as possible to the most engaging content. 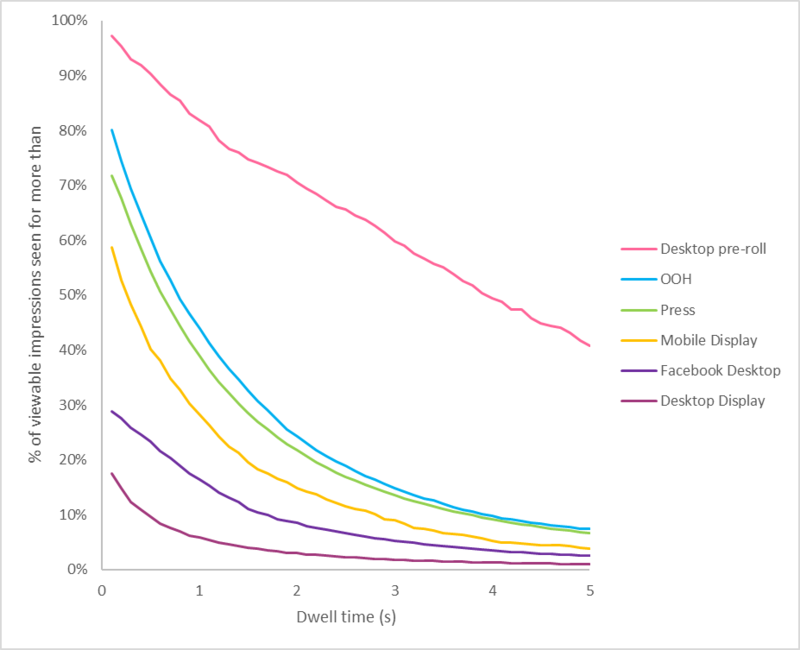 Below is a meta-analysis of over 200,000 page impressions we have captured on our UK-based desktop panel since 2016, showing where attention tends to go on a typical web-page. You can see that the heat is often at the top of the page, and follows the content down the centre left of the page. Which begs the question, where would you put your ads? In line with the content, where they are likely to get noticed, or to the right-hand side, where they are much more likely to get ignored? As Kirsty and Phil will tell you, it’s all about location, location, location. Thank you to everyone who has noticed our new venture: an over fifties dating app. Yes, it’s a hard pivot for an attention technology company, but hey, you have to do what you love. This isn’t the only brand extension that we have launched recently. Even I was unaware that we appear to have opened a retreat centre in Euston and a restaurant in Paris. There are also ambitious plans for us to launch an SI unit to measure light. Watch this space!